A flared container for filling with food at your hen party. This is a great price and reusable. 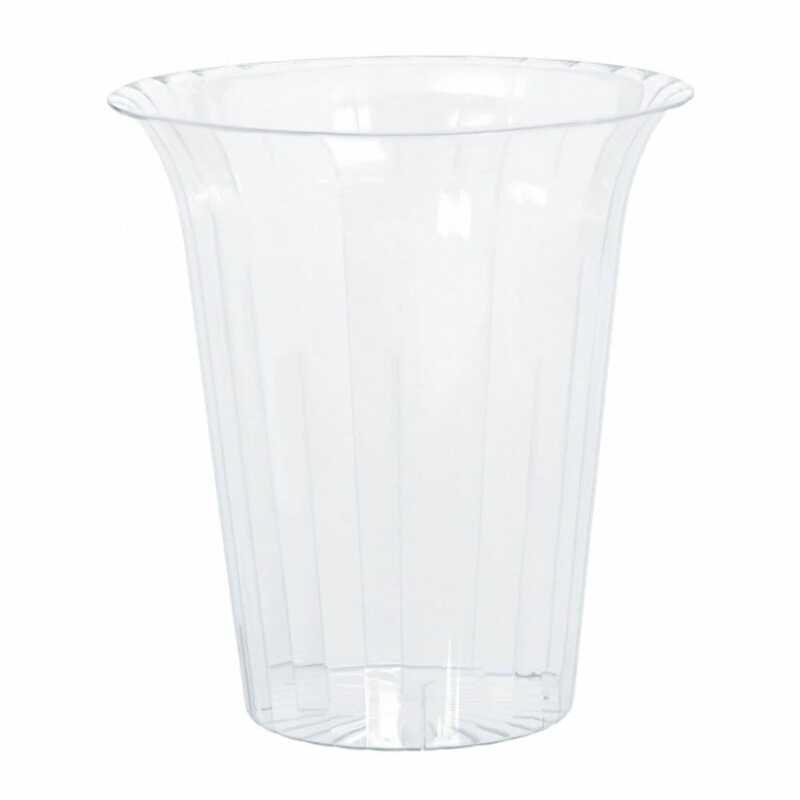 This gorgeous plastic container will work for sweets, cakes, bread sticks or any other buffet food.